Oats are good for you. Let’s just accept that. But one could get tired of eating oats only as a porridgy thing. I needed to find ways to incorporate oats in our meals without getting bored of it. Tried oats dosa – did not like it. Tried it instead of rice with rasam and yogurt. Meh. Rasam was alright, but didn’t care for it with sambar or yogurt. Tried idlis. And…we had a winner! Technically, this is oats rava idli as I add a litlte bit of rava (1 part rava to 3 parts oats so there’s definitely more oats). 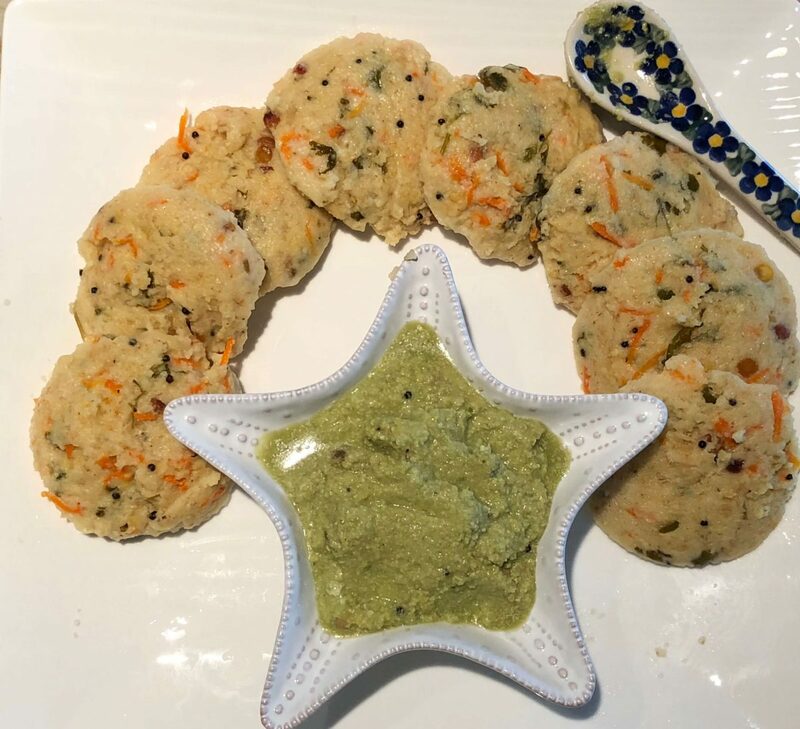 This is a quick recipe, and with the right chutney/podi, will definitely satisfy your idli craving as well – and there’s no need to soak, grind, ferment, etc. On to the recipe now! 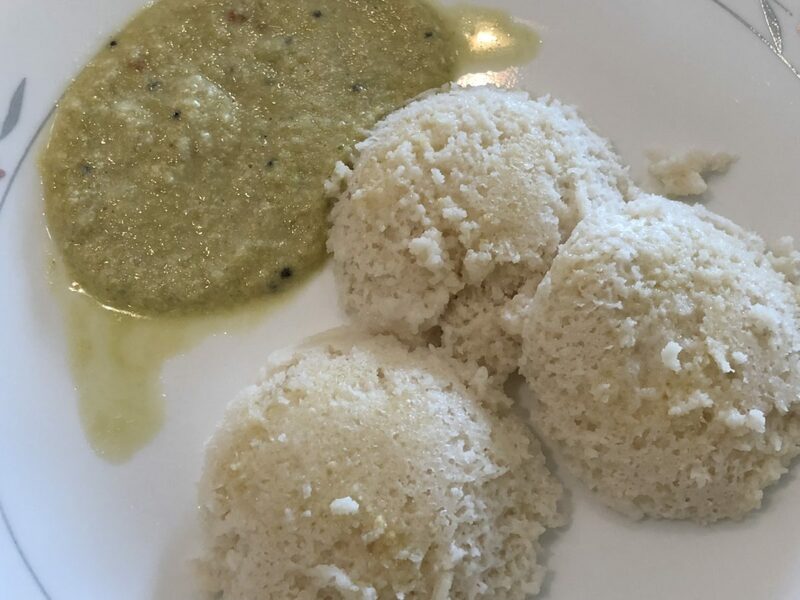 The quintessential breakfast food in Tamil Nadu, idlis are healthy (good amount of carb + protein), good for you (fermentation introduces probiotic nutrition), oil-free (steamed) and easy to digest. With the right accompaniments like a spicy sambhar, chutney or podi, and a hot cup of madras filter coffee, it’s a subliminal experience!